The Latest Hairdryer from Parlux, the 3800 Eco Friendly Ionic & Ceramic edition, is designed to be light, powerful and environmentally friendly. Utilising both recycled packaging and plastic, it is perhaps the most eco-friendly hairdryer available. The Parlux 3800 Eco Hairdryer, has an incredibly strong 2100 Watt K-Lamination motor, which reduces drying time, and uses less electricity. The combined effects of ceramic & ionic technology maintain hair's natural moisture, ensuring the hair stays in perfect condition. 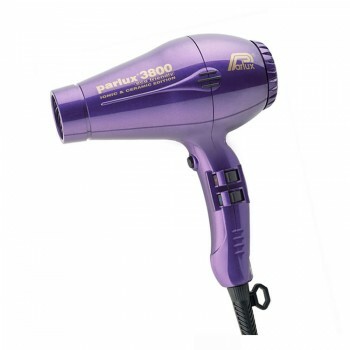 Avilable in Green and Black, the Parlux 3800 Eco Hairdryer is sure to be this seaons must have accessory. · 2 speeds and 4 temperature settings with instant cold air. · 2 nozzles for concentrated styling & quick drying.